The FiFi Awards were held earlier this week to honor the top fragrances of the year. But one thing stole the show and it wasn’t a perfume, it was Nicole Richie’s super glamorous up-do. I love the height and volume of this up-do. While it may look complicated and intricate, it’s actually quite easy to achieve. It only requires three products and some bobby pins. Keep in mind, she does have extensions, so you may not get the thickness she has. But like I always say-tease, backcomb, tease, backcomb, and you will get instant thickness. Here’s a step-by-step guide to this amazing hair style. 1. Start by blow drying hair with heat protectant styling spray (preferably one that builds body). Focus on the crown, as this is where you want all the volume. 2. Put hair in an ultra-high ponytail. Backcomb ponytail to form a smooth hump shape. Split ends into two sections and twist. Wrap and pin strands around the base to create a beautiful ponytail holder (hiding the actual elastic). 3. 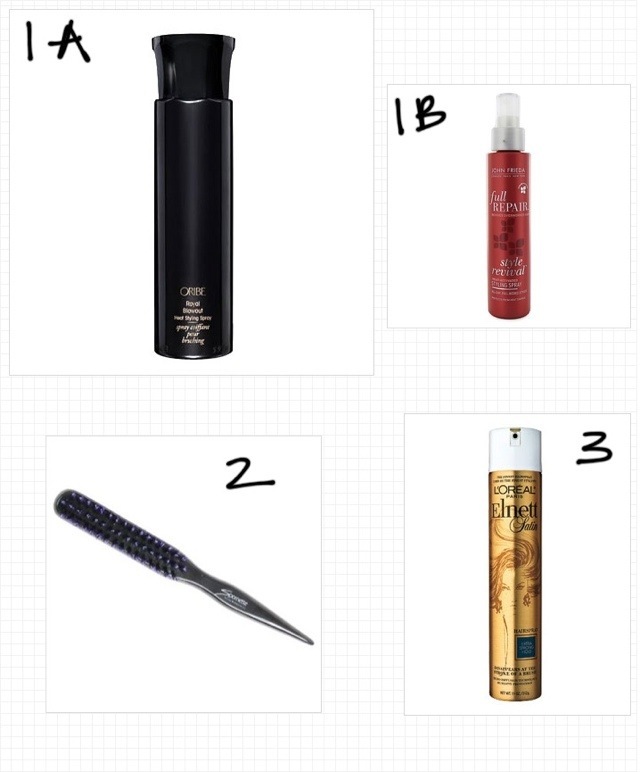 Finish the look by spritzing a strong hold hairspray. Super easy, super stunning, and an up-do that’s appropriate for work or the most glamorous of events. i loved her look, too! Hey Megan, thanks for mentioning Spornette’s Little Wonder brush as the best brush to create Nicole’s awesome Updo. I’m Bonnie and I’m the publicist for my family’s business, Spornette International. I like your blog! Please contact me at brushmaven@gmail.com if you’re interested in playing with some of other brushes including the BIG WONDER, which is the same as the Little Wonder just for larger sections of hair!